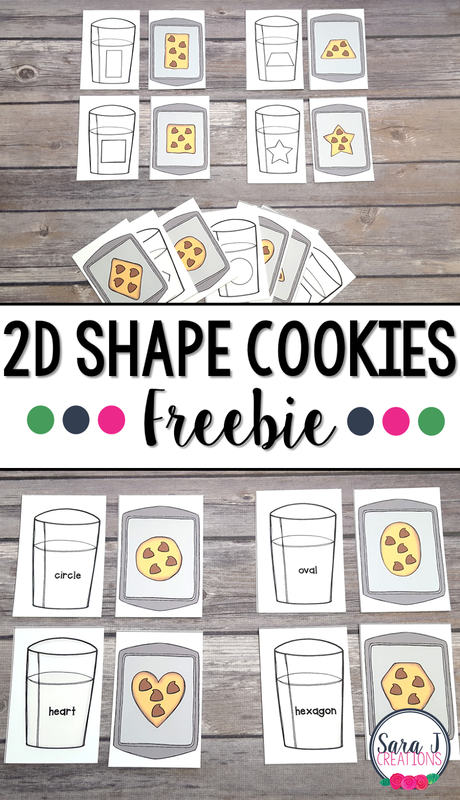 Preview: This 2D shape cookies and milk matching cards freebie are a fun way to practice shapes. Comes with a picture match + a word match so it is perfect for preschool, kindergarten and lower elementary classrooms. We have had cookies on the brain lately. After our C Themed Activities last week, and reading our Favorite Cookie Themed Picture Books this week, we were ready for this 2D Shape Cookies and Milk Activity. This is a great way to introduce or review two dimensional shapes. This freebie includes a picture match version and a word match version so multiple levels can use and enjoy it. And what is better than chocolate chip cookies and milk?? Just print and cut the cards apart. You might want to laminate for durability, especially if you are going to add this as a math center. This version of the cookie match is designed for younger students - preschool or kindergarten. In this simplified version of the game, students match the shape cookie to the shape glass of milk. They do not need to know the specific names of the shapes in order to play this version. There are so many ways to use these match cards. You can just spread them all out and have students look for matches. You could also turn them face down and play memory with them. You could also play go fish and take turns asking each other for specific cards to make a match. For older students who can read, I've included this word version. It still comes with the same 12 shapes, but instead of matching the cookie to the shape on the milk, you match it to the word printed on the glass of milk. 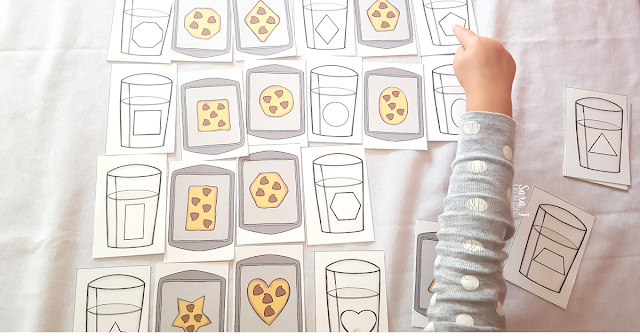 This makes this freebie perfect for a variety of ages and skill sets. This set is free for you! Just scroll down to the bottom of the post to grab your copy. 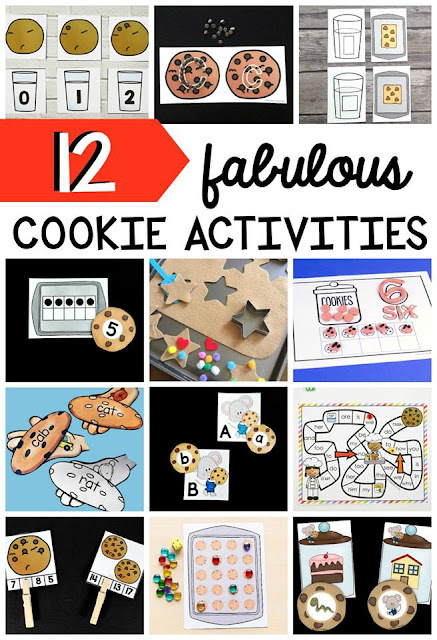 Are you looking for more cookie fun? Check out these awesome freebies and activities that all have a cookie theme! Would you like to own your own set of these 2D Shape Cookie Match Cards? Just click the button below, enter your information and they will be emailed to you immediately.